The supernova's companion star was not just an innocent bystander to the explosion. Instead, it was most likely the instigator. 17 years ago, astronomers witnessed a supernova go off 40 million light-years away. 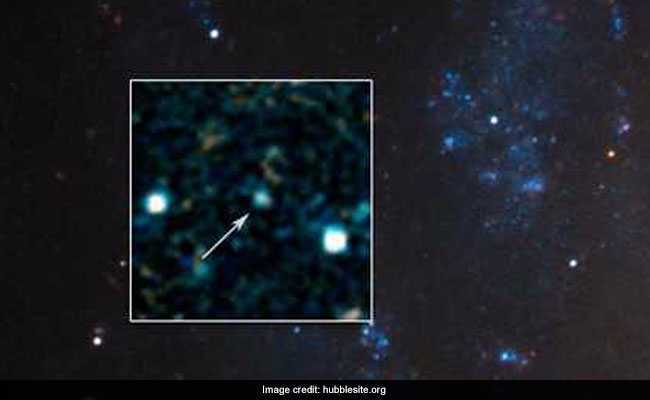 Washington: NASA's Hubble Space Telescope has captured the first image of a surviving companion to a supernova, a compelling evidence that some supernovas originate in double-star systems, the US space agency said. 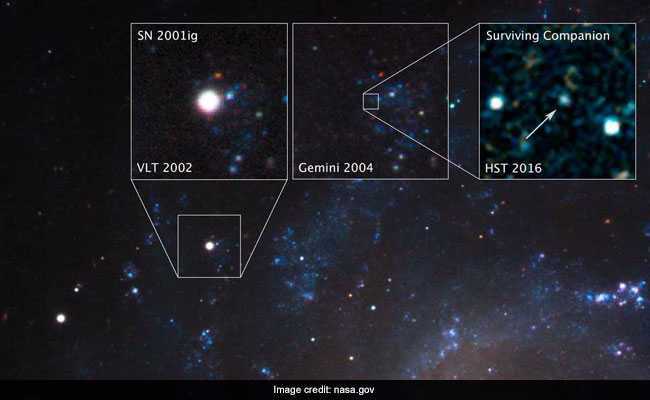 Seventeen years ago, astronomers had witnessed a supernova go off 40 million light-years away in the galaxy called NGC 7424, located in the southern constellation Grus, the Crane, the NASA statement said. The image of the companion star was seen in the fading afterglow of that supernova, called SN 2001ig. SN 2001ig is categorised as a Type IIb stripped-envelope supernova. This type of supernova is unusual because most, but not all, of the hydrogen is gone prior to the explosion. According to the study, published in the Astrophysical Journal, the supernova's companion star was not just an innocent bystander to the explosion. Instead, it was most likely the instigator, as it siphoned off almost all of the hydrogen from the doomed star's stellar envelope, the region that transports energy from the star's core to its atmosphere. Millions of years before the primary star went supernova, the companion's thievery created an instability in the primary star, causing it to episodically blow off a cocoon and shells of hydrogen gas before the catastrophe. Originally, these type of exploding star were thought to come from single stars with very fast winds that pushed off the outer envelopes. However, when astronomers started looking for the primary stars from which supernovas were spawned, they could not find them for many stripped-envelope supernovas. "That was especially bizarre, because astronomers expected that they would be the most massive and the brightest progenitor stars," said Ori Fox, an astronomer at the Space Telescope Science Institute in Baltimore, US. "Also, the sheer number of stripped-envelope supernovas is greater than predicted." This fact led astronomers to hypothesise that Type IIb stripped-envelope supernovae may instead be a result of co-orbiting pairs of binary stars. "We know that the majority of massive stars are in binary pairs," said lead author Stuart Ryder, an astronomer at the Australian Astronomical Observatory (AAO) in Sydney. "Many of these binary pairs will interact and transfer gas from one star to the other when their orbits bring them close together," he noted.